Our range of services include road speed hump and road speed bumps. Being a remarkable manufacturing company in the market, we are successfully engaged in providing an excellent range of Road Speed Hump. We are engaged in offering various type of Road Speed Bumps which are made up of rubber. 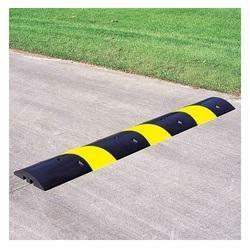 These speed bumps or humps are provided as per the customer requirement.